Friends and family of the nearly 300 Australian Defence Force personnel about to deploy to Iraq on Operation OKRA said their goodbyes during a parade at Brisbane’s Gallipoli Barracks. 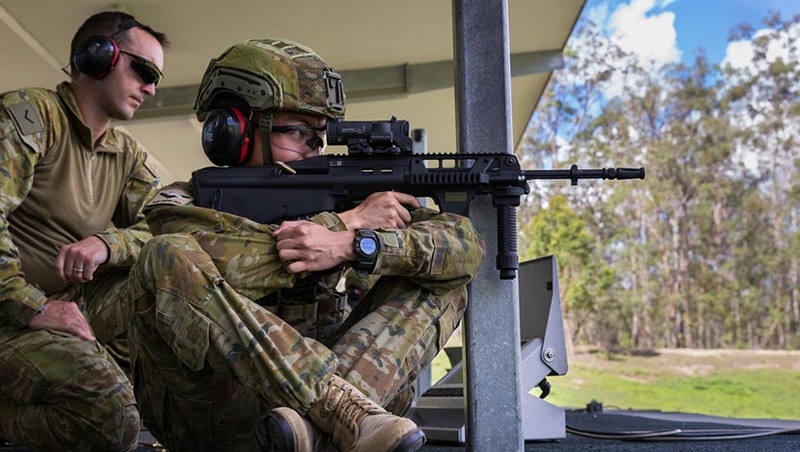 The ADF contingent, bound for the Taji Military Complex 20 kilometres north of Baghdad, consists primarily of soldiers from Brisbane’s 2nd/14th Light Horse Regiment (Queensland Mounted Infantry) and will form the ninth rotation of Task Group Taji. Minister for Defence Industry Linda Reynolds attended the farewell, saying the parade was an opportunity soldiers to stand proud on the eve of their deployment and to recognise the sacrifice that their families and friends make in supporting them. "Defence would not be able to deploy and perform its duties if it weren’t for the support personnel receive from home," Minister Reynolds said. Task Group Taji Commander Colonel Michael Bassingthwaighte said the purpose of the mission was to mentor the Iraqi security forces through a ‘train the trainer’ model, which aims to enhance the ability of the Iraqi security forces to deliver its own training. "The training these men and women will deliver will further enhance the Iraqi security forces in their continuing mission to secure and stabilise their country against the threat of Daesh and ensure that Daesh do not regain the territory they have lost," COL Bassingthwaighte said. "Task Group Taji will provide a broad range of training to Iraqi security forces from weapons handling and Laws of Armed Conflict, through to combined arms operations and the employment of joint fires." The training culminates with a Mission Rehearsal Exercise, which replicates the operational environment in the Taji Military Complex. "This training is extremely important as it prepares us both physically and mentally for the challenges we will face in Iraq, which can be a demanding environment," COL Bassingthwaighte said.